A JUVENILE MALE in his late teens has been arrested after a three-year-old boy was left seriously injured in a hit-and-run incident in Cork yesterday. He is detained under section 4 of the Criminal Justice Act 1984 at The Bridewell (Cork) Garda station. Gardaí also renewed their appeal for witnesses to the incident. They said they believed there were a number of people in the car at the time of the incident and appealed to the passengers to come forward. At 4pm yesterday, the boy was struck by a car at Castle Meadows off Skehard Road outside Cork city. He is in a stable condition in hospital today. Gardaí earlier said they had recovered a blue saloon car they believe was used in the incident. The car was recovered approximately 1 km from the scene. The father of the boy has said his “little warrior” faced a number of tough hours before doctors declared he was in a stable condition. In a Facebook post, Paul Higgins thanked everyone who had sent their well wishes, after his son was transferred from Cork University Hospital to Temple Street in Dublin following yesterday’s crash. “He will love to hear [the well wishes] when he wakes to hear it,” Higgins said. To see your child that way is the worst feeling I ever had in my life today. Higgins also asked anyone who had information to get in touch with gardaí. Anyone with information is asked to contact Anglesea Street Garda Station on 021 452 2000, the Garda Confidential Line on 1800 666 111, or any garda station. Email “Teenager arrested after 3-year-old injured in hit-and-run incident in Cork”. 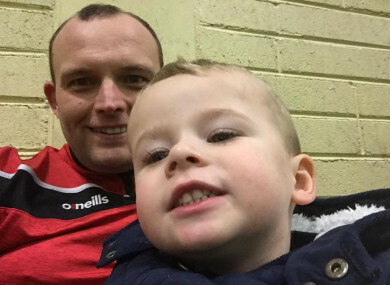 Feedback on “Teenager arrested after 3-year-old injured in hit-and-run incident in Cork”.